Digital Banking Platform is an IT platform for building multichannel customer service in a modern digital bank. 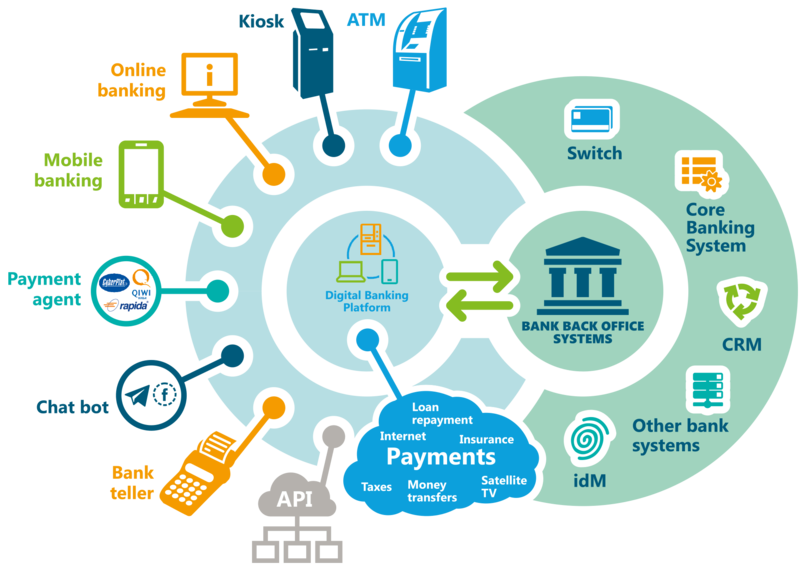 Digital Banking Platform implementation package includes front-end applications along with the server components, which interacts with the bank’s back-office systems. Digital Banking Platform is composed of modules, which can be separated by channels, products and functionality. So, there is no need to implement all available functionality at once. eKassir is a software developer for banks and financial institutions. The company was founded in 2003. Our competencies are payment and transaction systems, card technologies, software for self-services kiosks, digital banking platform, mobile apps, software for front-office employees and teller desks. More than 100 clients in 20 countries use our products. They are large banks, mobile retail networks, mobile operators and energy companies. eKassir software are certified for compliance with PA DSS and EMVco standards. To request a call and learn more about eKassir solutions and services, just fill in the feedback form below. Our experts will contact you as soon as possible.